"Unchained Memories" a take on the Righteous Brothers' song title "Unchained Melody" is the story of the last rungs of the slave trade in America and the devastating effect it had on black people. The documentary features a number of black celebrities, from different parts of the entertainment industry, telling stories of slaves that were horrifically abused and exploited in America. For example, there is a disturbing narrative of a slave girl, beaten with a cat-of-nine-tails and salt rubbed into her wounds, for daring to eat bread, because she was hungry and working for many hours without rest. The ugliness of slavery is so devastating. This documentary made me cry. 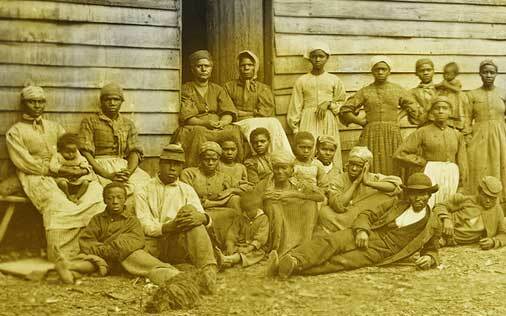 As I watched the movie I kept thinking in my head regarding slavery, "Why did they do this?" as it was so unconscionable, merciless and evil. The film is a poignant reminder of what happens when human cruelty takes over, instead of compassion in valuing everyone as human beings, rather than exploitable commodities and free labor. The astonishing thing about slavery is some racists today still have that mentality.